Industrial grade antivirus and Web filtering free for home users. add multiple computers under one account and manage them online. unfortunately can't add iPads or Android. Had to remove this the other day as was causing my browser to reject any sites that weren't owned by Google! My PC is running quicker now too. Had been fine for several months until Monday evening. Had to remove this the other day as was causing my browser to reject any … Had to remove this the other day as was causing my browser to reject any sites that weren't owned by Google! My PC is running quicker now too. Had been fine for several months until Monday evening. ​did you check if it had enabled any web filtering by any chance? I've had issues with this software in the past randomly blacklisting and blocking legitimate websites (even ones like BBC), may be trustworthy but not all the time. Used to be great. You need to oil it only once every 5 years. I have been using Avast for the last decade and on the whole I've been pretty happy with it - how does this stack up against it and is it worth taking a look? I have been using this free antivirus on a windows netbook and a tablet ( desktop has Kaspersky). 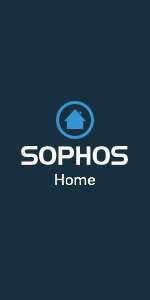 There is a free Sophos Android app as well. Unlike alot of the free antivirus, there are no nagging screens telling you to purchase an upgrade. We used Sophos at a couple of companies I worked for so it is mainly aimed at business I suspect. Used in education and other govt departments too.